Purple is my favorite color and I have colors on my mind since reviewing the book, The Day the Crayons Quit and The Day the Crayons Came Home both by Drew Dewalt and Oliver Jeffers. 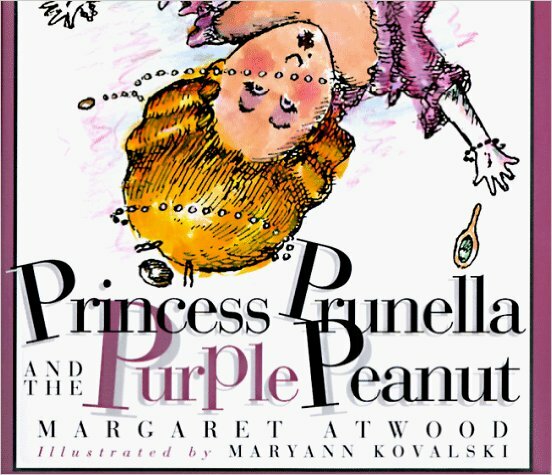 I thought it would be fun to create a list of books with the color purple in them. I scoured my collection and found these 5 great books. Lilly loves school, especially her teacher Mr. Slinger. 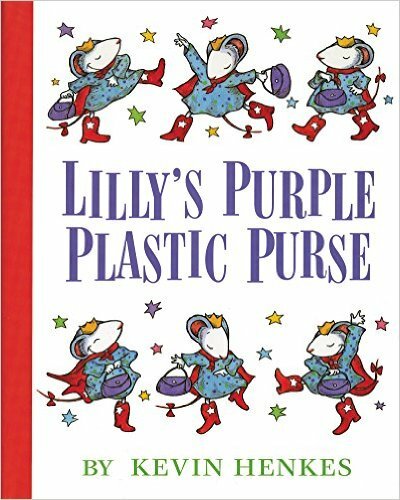 But when Lilly brings her purple plastic purse to school, she just cannot wait to share its contents with her classmates. Mr. Slinger takes the purse and Lilly takes revenge on her beloved teacher. How will Lilly make things right again? One night Harold decides to go for a walk in the moonlight. 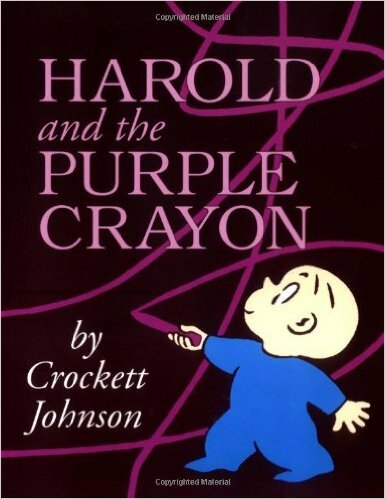 Armed with only a purple crayon, Harold draws himself a landscape full of wonder and excitement. Mr. Pine lives on Vine Street in a little white house which is fine, but there are fifty other white houses on Vine street as well. 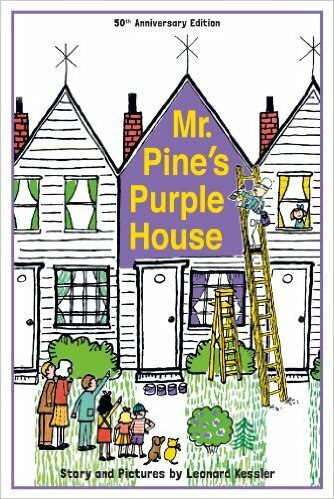 Mr. Pine wonders how he will be able to tell which house belongs to him. How does he solve this problem? Well, with purple paint, of course! Princess Prunella is proud, prissy and pretty and very, very spoiled. She lives in her palace with her parents, her pussycats and her puppy dog, Pug. Her favorite thing? Herself! Her biggest desire? To marry a pinhead prince with piles of money who will praise and pamper her. Will Prunella get what she wants? Every year Gabriella gets a new coat and every year her coat looks exactly the same– navy blue with two rows of buttons and a belt in the back. But this year, Gabriella wants something different- a purple coat! 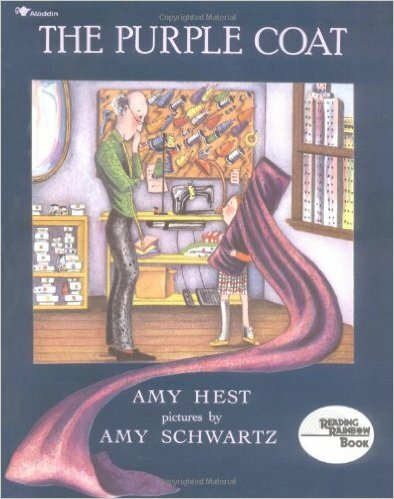 Her mom isn’t thrilled with the idea nor is her grandpa, the tailor. But in the end, Grandpa comes through with a solution that is just right for everyone. Be sure to check out our All Things Purple Pinterest Board!